Sometimes the placement of a word makes all the difference in meaning. My life passed by me could mean simply that a portion of one’s life has gone by. Anyone who bought stocks in mid-1929 and held onto them saw most of his or her adult life pass by before getting back to even. The sun is shining on my brown eyes; eyes that have seen these past three years of my life pass by me in a flash. I felt panic and fear at first and saw my whole life pass by me in an instant. How could he come that close to death and not see his life pass before his eyes? My life passed me by, on the other hand, conveys the idea of a wasted life, a life that has been frittered away in meaningless activity. Has life passed me by at 40? “My life passed by me could mean simply that a portion of one’s life has gone by. thanks for the answer. the explanation was very clear. 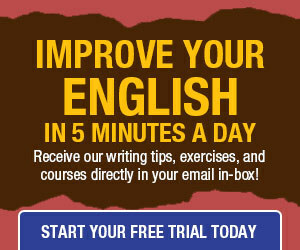 I just subscribed yesterday and was not offered the free e-book on Daily Writing Tips. How do I get it? Or the autobiography, ‘My Life Passed’ by Me. I think both mean the same thing, although there are those who would prefer the “could mean simply” construction. 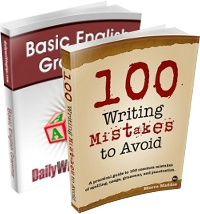 The download link for the free ebook is at the very bottom of the DWT email. It takes some scrolling to find it. Hi, can you explain to us which of these statements is grammatically correct? My moral standard is different to yours. My moral standard is different than yours. My moral standard is different from yours. Can someone please explain to me the difference between “past” and “passed” ? I always get the two confused. Here’s a post about “different from,” etc.